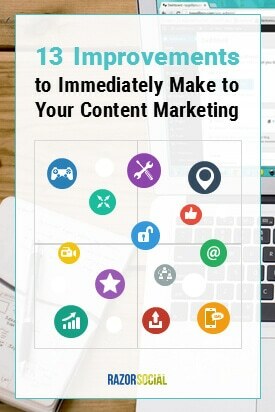 Stuck with your content marketing? We all need to revisit our content marketing on a regular basis to see how we can improve it. And believe me, there’s always room for improvement. So, are you ready to take your content marketing up a notch? 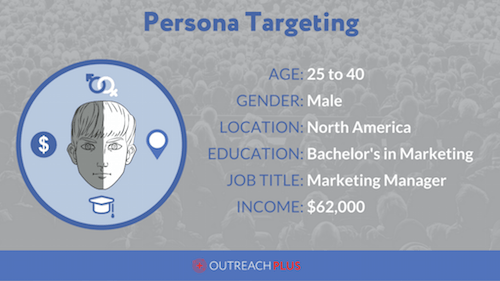 If you haven’t already built your customer personas, i.e. defined who you are targeting with your content, you need to STOP what you’re doing and write them out. And even if you’ve created your personas and you’re sure you did a great job profiling your ideal customers, you still have to revisit them once in a while. Why? Because the preferences of your customers can change. Market trends, competitive landscape, and your business can change over time. And all of this can affect the results you’re getting from your content. So make sure to keep an eye on the changes in your customer behaviors and needs and revisit your personas periodically to make sure they are still relevant. Ideally, you’ll do this once a year and update your existing personas to reflect your current business and customers. A content upgrade is a bonus content that you offer to your blog visitors in exchange for their email address. These content offers are created for a particular blog post and you’ll have a content specific opt-in in the blog post itself (normally at the top and the bottom of the post). You can offer different types of upgrades to your visitors, like PDF blog posts, checklists, guides, case studies, etc. For example, we offer PDFs of our best content and provide them as upgrades to our readers. So if readers think an article is really valuable, they can download it to go back to it later. Here’s an example of a content from Optinmonster. Not everyone will have time to read a 700+ power words blog post so a cheatsheet is ideal! When was the last time you optimized old content on your site? If you use Ahrefs you can find out the list of keywords that you are ranking for with your content. You can then find keywords you are ranking for that are not included in the content. This means that by adding them to the content you are more likely to rank higher. You may also want to update out of date content. If someone reads out of date content they are not going to spend must time on your website! Are you satisfied with how your content marketing efforts are contributing to your lead generation and sales? If you have built effective content conversion funnels, then you should be getting some real and measurable results from them! How often does the content you publish results in conversion? 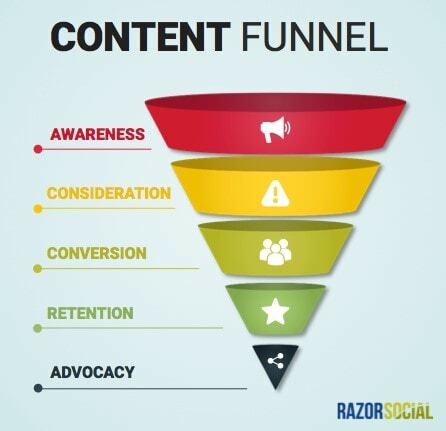 How many leads are you getting from your content funnels? You need to periodically reevaluate your funnels to see if you need to tweak them so they drive more people to take a specific action you want them to take e.g. download a checklist, sign up for a free trial, or purchase your product. Next week I’m releasing a research report on content promotion. In it, it shows that most people don’t promote their content other than sharing it out on social media channels. It’s becoming harder and harder to get attention for the content you have so you need to promote it. But it starts with high quality content. If you don’t have high quality content there is no point in promoting it. When I release the research report I’ll make a list of people that linked to similar research content. It makes perfect sense that people that linked to similar content would want to link to and talk about this content. Using an email outreach tool, such as OutreachPlus, can help make this process a whole lot easier. Most content marketers focus on promoting their content after it’s been published. Many of them are missing out on a huge opportunity to promote their content before it goes live. Give them exclusive access to a piece of content they’d be interested in before it’s published. When you involve relevant people in your content early on, they are more likely to promote it to their network once it’s published. *Pro tip: Share a “teaser” or a preview of the content you’re writing on your social media profiles. This will create a sense of anticipation about your upcoming content. If you create content that includes contributions from highly influential people in your industry, you’ll amplify your content reach and results. That’s because we all love reading tips and advice from the influencers we trust and follow. And the best way to involve influencers in your content without taking up too much of their time? You’ve guessed it – influencer roundups! Influencer roundup posts are real traffic magnets and, if done properly, they can improve your content results. So what do I mean by doing it right? Decide on a topic that your audience would enjoy reading about. Or even better, think of a problem they would love to get the answer to. Find relevant influencers who have a large and engaged following and a high-authority website. Send personalized outreach emails to influencers asking them to answer one question/provide one tip for your post. Reach out again to let the influencers know when your post is published. Influencers that contribute to your roundup will typically share your post with their audiences on social media, sending traffic to your blog and a lot of potential leads. For example, the roundup post I did on Razor Social with social media influencers about their favorite WordPress plugins got 3.6K social shares! You can check it out here. When you look at the content you published over the past year, do you think it could be more diverse? If you are publishing blog posts only (i.e. written content) maybe it’s time to revisit your content strategy and see how you can include different content formats. I am talking about experimenting with content formats that are known to perform well, such as video or audio. Video is easy to distribute and get in front of a wider audience – you can post it on YouTube, publish as a podcast, embed in your blog posts, send in an email to your subscriber base, etc. Not to mention all the major social media sites that favor video over other types of content! There are literally dozens of options to get visibility for your video content. Best of all, you’ll be reaching an audience that you couldn’t otherwise reach with your blog posts. If you don’t have the time or the resources to produce videos from scratch, you can use a tool such as Lumen5 and easily turn your existing articles into shareable videos. You can reuse and repurpose your content in an audio format as well. This way you can optimize for how most people consume content today – on the go! By providing different content formats you are targeting different audiences and widening your reach. I am often surprised how little attention people pay to their blog categories. If your content is not categorized properly, it’s going to show in your engagement stats. If you want people to spend time on your blog and discover more of your content, your categories have to relate closely to the interests of your target audience or your customer personas. Here’s an idea how you can improve the categories on your blog. Take a look at your Google Analytics reports to see what articles are getting the most traffic. These are the topics that bring people to your blog and appeal to your audience’s interests! See if you can reorganize your categories around the topics or the keywords of your best performing posts. 10. Are you creating content for every stage of the buyer journey? This is an extremely important part of any successful content marketing program. But it’s also something that we tend to forget unless it’s a part of a documented plan that we stick to in our everyday practice. Here’s 5 stages for a buyers journey which includes after they buy! Decision – they now know what type of solution they want and they’re in the decision phase. Now, are you publishing content that addresses the needs of your target customers at all stages? For the awareness stage you need to have content that educates and leads people to a solution, such as how-to articles, guides, infographics, etc. The content is different for the consideration stage – its purpose is to show your expertise as well as the benefits of your product/service so potential customers can decide if it addresses their needs or not. Case studies are a great example of the consideration stage content. For decision stage content it has to influence the actual purchase decision. Typical content for this stage includes trial offers, demos, product sheets, testimonials, etc. Make sure you have content that specifically addresses the unique needs of your customers at each stage of the buyer’s journey. 11. Are you producing the right type of content? The end goal of your content marketing program is to generate leads and customers for your business. So you need to be very strategic about the types of content you publish. There are no shortcuts to consistently creating well-performing content, but there are certain types of content that can help you achieve your traffic and lead gen goals more efficiently. Research articles. A research blog post provides unique insights into interesting subject areas that are relevant to your industry and your audience. People love to read and share insights that are supported with industry-specific data. Frameworks. A framework is an in-depth piece of content that provides a structured solution to a common challenge in an industry in a way that people can easily follow and later apply what they’ve learned in their business. Sometimes, the best way to find out if we’re doing well with our content is to simply ask! One way to go about it is to create a blog survey and collect feedback from your readers so you can figure out exactly what they want. This is really clever because you can find out if your content addresses your audience’s main challenges without overwhelming them with too many questions. 13. Are you creating better content than your competitors? The competition to rank on page one of Google for any keyword is growing by the day. So if you want to rank well and drive a healthy flow of organic traffic to your content, you need to do one thing – create better content than anybody else in your industry! So my final piece of advice is to do your research and see what’s coming up on SERPs when you search for your keyword. Read the top five results, see what makes the content good, and then start creating something even better. No matter how well you think you’re doing, you need to periodically reexamine your content marketing efforts to see if there’s anything you can improve. If you’re being honest about it, you’ll find room for improvement every time. The 13 improvements we talked about in this article are the perfect way to start!